Melly follows me around everywhere with her cameras. She takes like 12,000 photos per day. When you take that many, some are bound to be good. Of course, if you take that many of me almost all of them are good! That’s a dilemma because we can’t post them all. 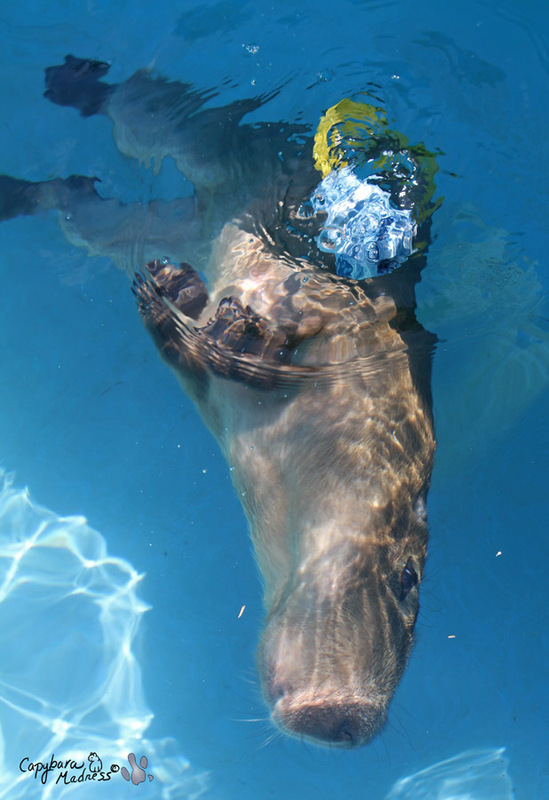 So Melly and I decided to have a blog post consisting of only photos of me underwater. 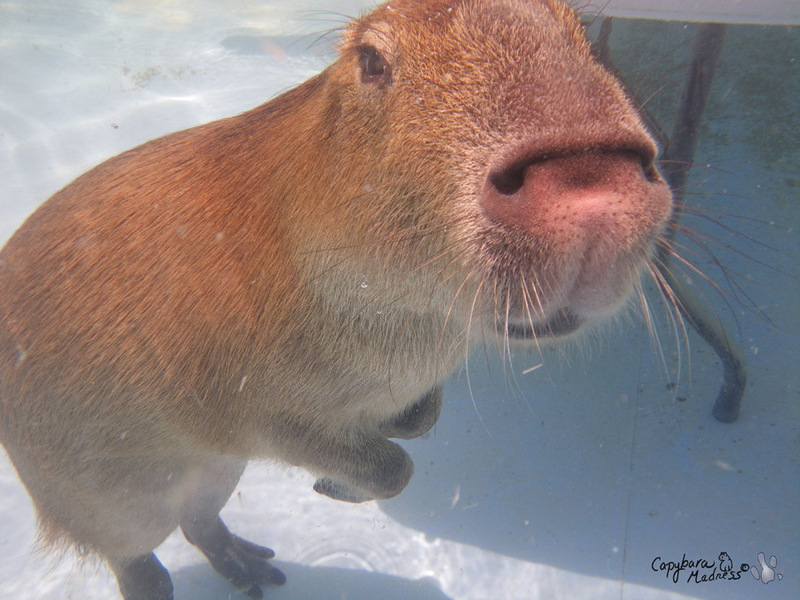 I don’t mean part of me underwater, I mean all of me, from my whiskers to my toes. As you can see from the above photo, this is a great idea. 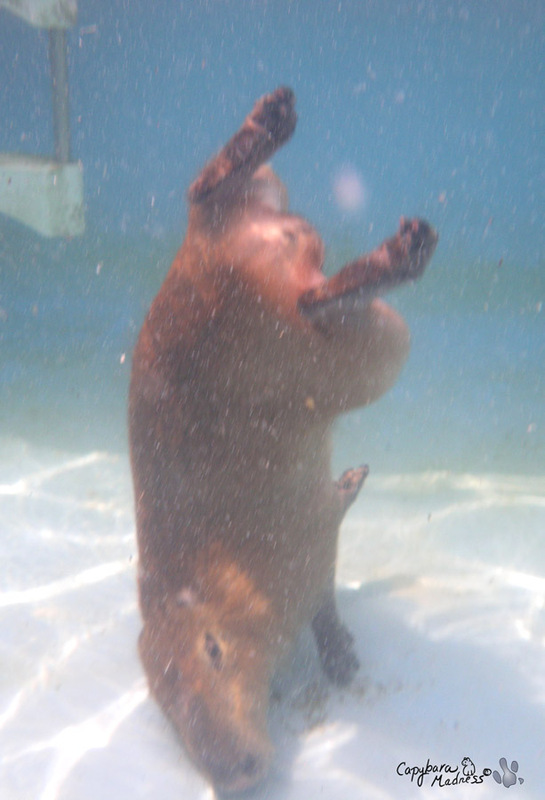 I am just as cute underwater as above water. It would be a better idea if Melly didn’t have the intention of making me look foolish. I’ll tell you something, my swimming and my rolling are not foolish no matter what Melly says and no matter how it looks in these photos. Rolling is my super power and I take my practice very seriously. In the above photo I am practicing evasive maneuvers which is a very important aspect of rolling. See how Rick’s hand can’t quite reach me? 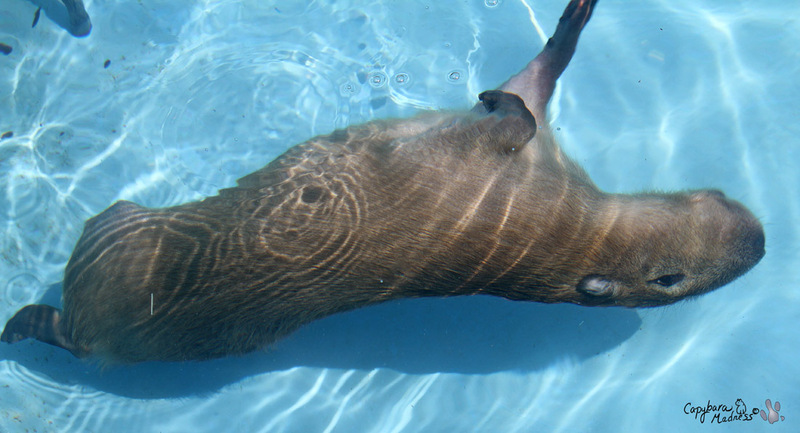 A somersault is a very challenging rolling maneuver, especially in a pool that’s only a little over four feet deep. Still, Melly thought this photo was funny. 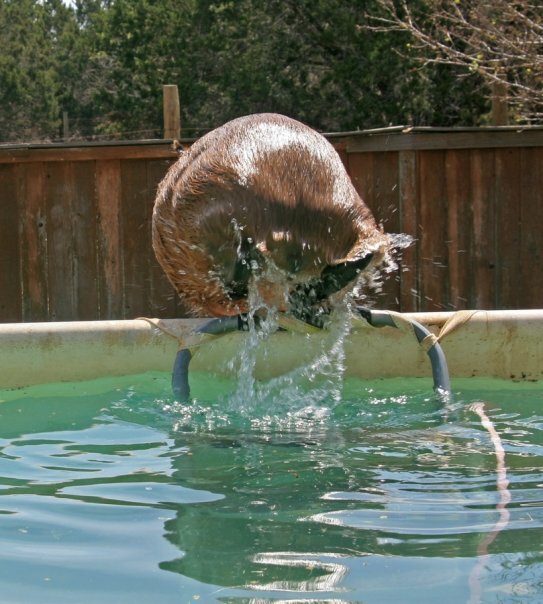 She didn’t see this as a clear indication that I need a bigger, deeper pool. I don’t like to brag but I am really getting good at rolling underwater. 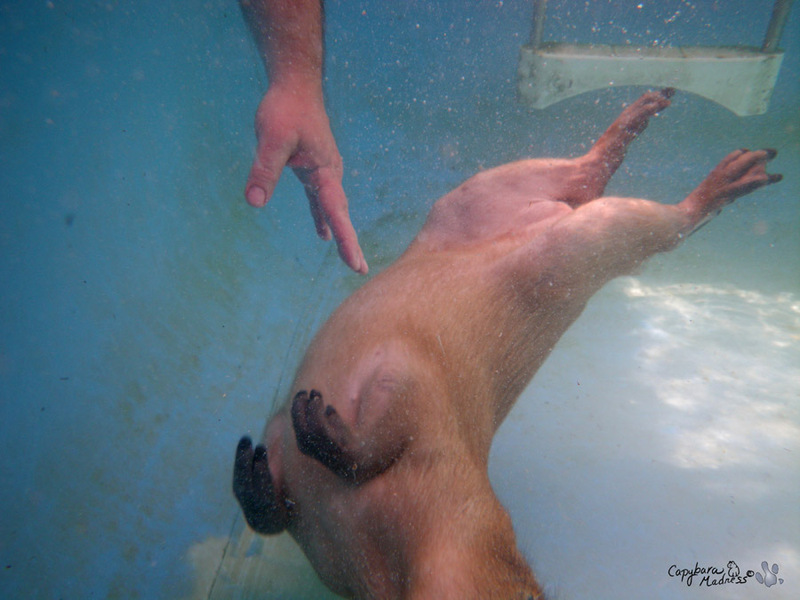 I now have very controlled rolls where I can swim for some distance on my side or even upside down. Don’t you just hear that music from 2001: A Space Odyssey when you see these images of me? It is really like I am waltzing. But this is no more a dance than the moves of a ninja. There is deadly grace. 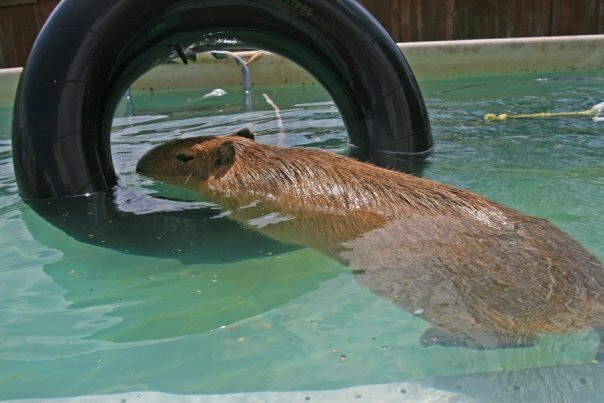 Sometimes I have to avoid water hazards, which is very good training for me. I need to know where every point of my body is so that I can approach a hazard as closely as I want without touching it. Or in the case above, I can always touch it if that’s what I want. There’s no law against it, you know. 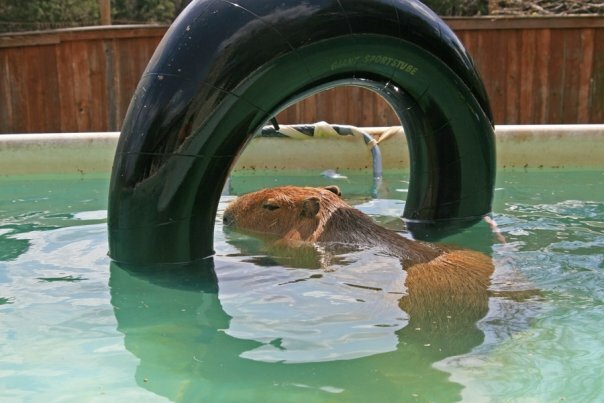 Hoops are a special type of water hazard that is very, very difficult to maneuver through. You can see what a great job I did in the event above though. 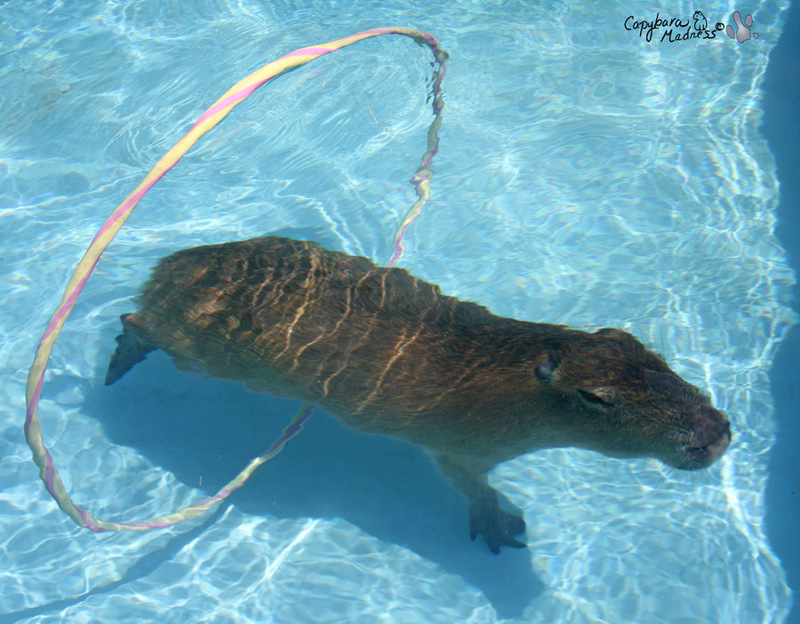 I didn’t touch that hoop with any part of my body! 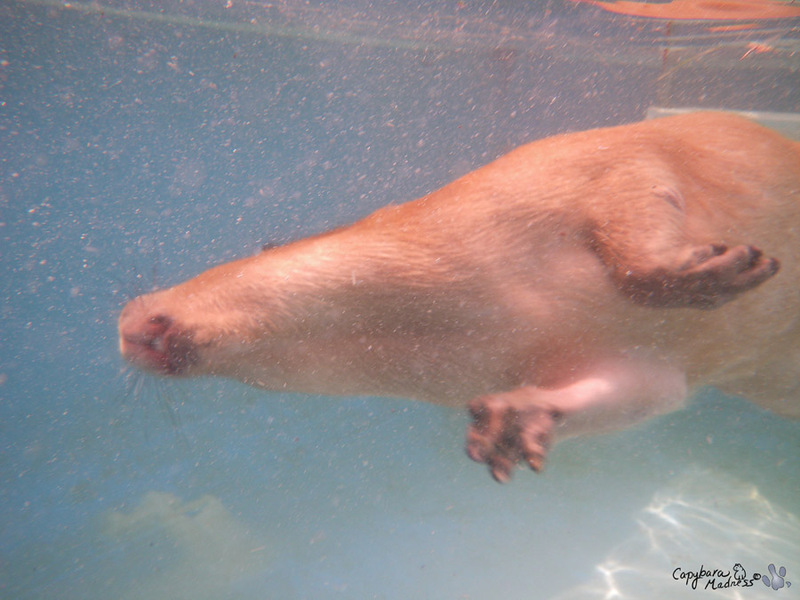 I am also capable of swimming right side up and forward. I still need to work on my speed in that area though. Melly keeps saying that Caplin Rous was about 10 times faster than I am. Just give me some time, I’ll get there. You’re like a mermaid! Mer-bara. Something like that! My goodness, Gari. How you have improved at underwater rolling in the past weeks. You have really become a STAR!! You are also doing well in your evasive maneuvers, as well as side swimmimg. Maybe you could convince Rick and Melly to organize the American Bara Olympics. (A.B.O.) You could compete in several events and win LOTS OF MEDALS! Just think of what it would do to increase the summer tourism activities of Buda, TX!!! A most brilliant thought if I DO say so!! What do you think?? LOL @ Mer-‘bara and ABO. I want to vote for the “What are you looking at?” photo. LOVE that snarled snout! Gari, don’t let Melly tell ya you are slower than Caplin was. You are more of a synchronized swimmer, while Caplin was more of a critical speed swimmer. 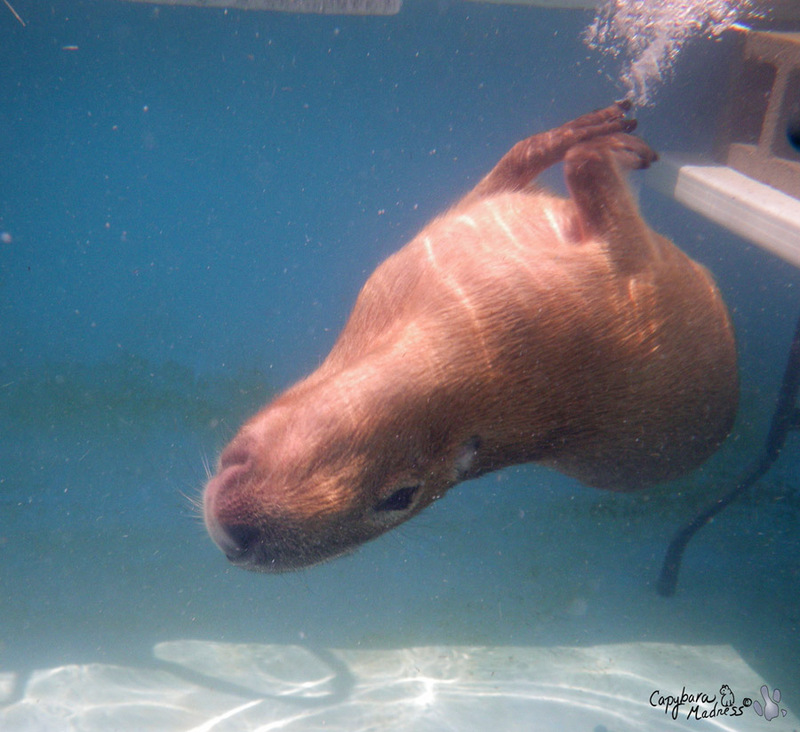 I think you are even cuter underwater, Gari! You look so majestic! You are much more graceful than I am, Gari. I’d like to see you swim in 50 degree water, though! 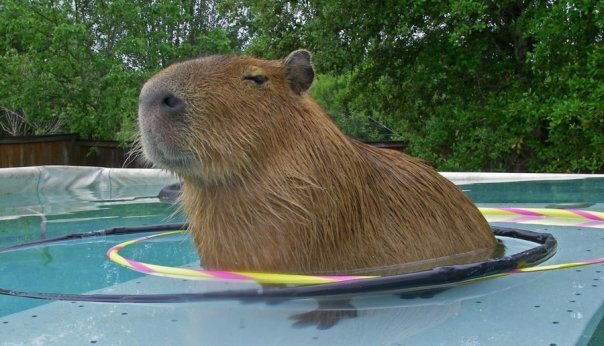 I might be more leisurely if my water was warm. 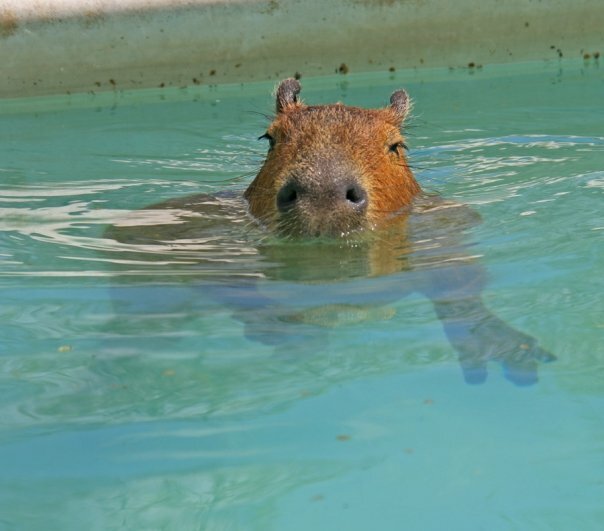 In cold water it is good to jump in, dart around fast, do a little spy-hopping, and get the heck out! Do you have a spa like I do, with a slave girl to pour water over you? That’s a good deal, and you just have to sit there and enjoy it. None of this exercise business. Wow Gari, you iz a water ballareena! 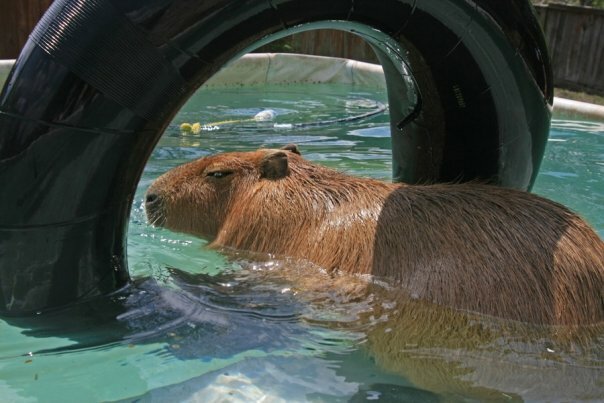 Iz amayzed acuz water iz SO SKARDY!!! You iz not only talented but vary BRAVE!! You look so sleek and graceful! I love your somersault! All of these photos are sooooo cute!! You are amazing, Gari! 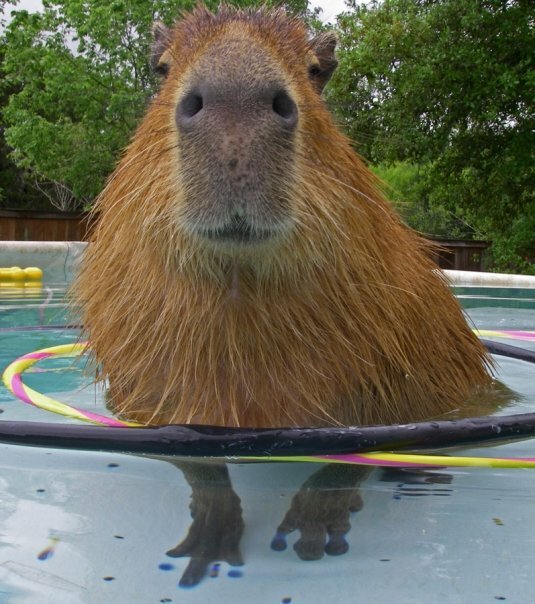 What a capybara!!! Melly and Rick must be so proud!!! Keep up the good work!! A little more practice, and you will be just as fast as Caplin, Gari! 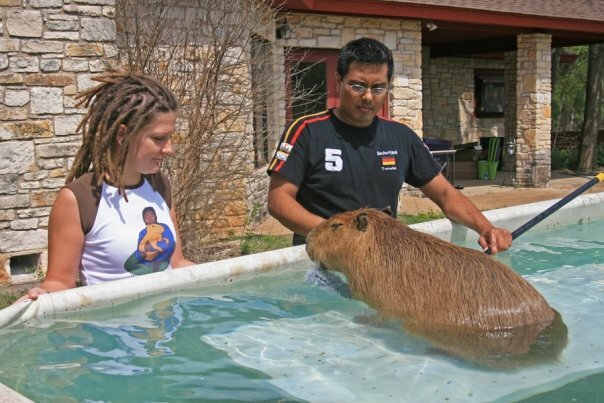 Long live the memory of Caplin Roux, The ultimate capybara.